Whether you are looking to conserve energy, optimize your hardware usage, or rapidly test a wide variety of software configurations, some sort of virtualization is surely in your future. 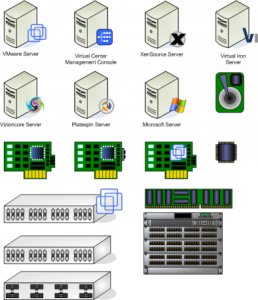 And if you are a Visio Guy or a Visio Gal, you’ll surely want to make a diagram to better see how your network’s hardware is set up. Microsoft offers and add-in that might save you having to do any manual drawing in the first place! 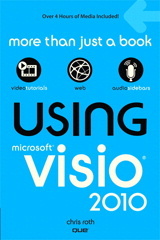 This add-in that works with Visio 2007 to help you plan virtualization. It auto-generates your rack and detailed server diagrams from an Excel template, allowing you to visualize where you can save on space and power. Scott Herold has updated his site recently and has posted a link to his Visio 2003/2007-compatible stencils. He mentioned that the link-location might change once he gets a proper download manager working, so here’s the top-level link to his site, just in case: VM Guru. P2VD also has this consolidated backup template. The drawing can be easily modified to show the various components of VCB and a very high level view of what’s going on. The Snap, Mount, and Backup markers include extra space so that you can add further details about the process. More from P2VD, this VI3 Server Configuration template helps you to detail the configuration of a VMware VI3 Server, and can be modified to document any server in your environment. 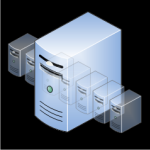 Roelf Zomerman works for Avanade, and created these shapes for VMWare and Virtual Server. 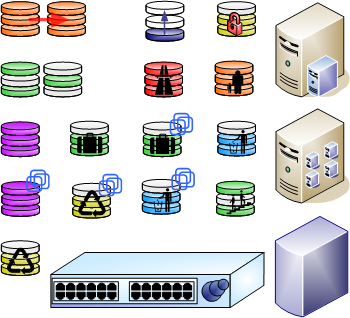 They are available in Visio 2002 or Visio 2003 versions. It looks like Veeam Reporter produces reports in Visio, Excel, Word & PDF, with the Visio part providing configuration diagrams to show the virtual network elements, their properties, and interdependencies. Is it normal that “Softgrid Visio stencils” link to the same place as the “Microsoft … Virtual Rack” ? Or are those the ones used in it ? I am a professional tester with too much idle time. Great templates, thank you for posting this consolidated list, it’s helpful when you’re heads down on a diagram. A lot of people have been looking for virtualization stencil with good and usefull icons for quite a while. Well, I’ve decided to create one myself and I am now sharing it with you. This stencil is made of icons derived from Hyper-V and other virtualization images. 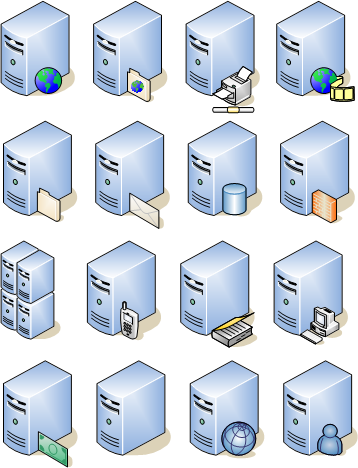 Each image was trimmed and optimized to be used in Visio. N.B. : If you have any suggestion or would like a modified version send me a message.